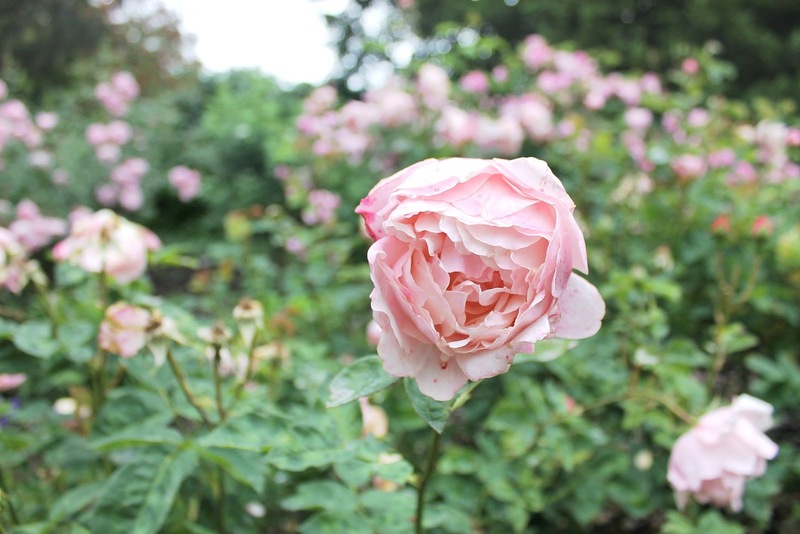 It was my sister's eighteenth recently and as part of the celebrations I was lucky enough to find myself in my absolute favourite place in the world, Regents Park in London, during rose season! The park is the most beautiful, romantic, melancholy place to me; even though I live up north, it completely captured my heart when I saw it on TV once, and I would spend my perfect day adoring the beautiful gardens, sharing croissants with squirrels and taking endless photos. 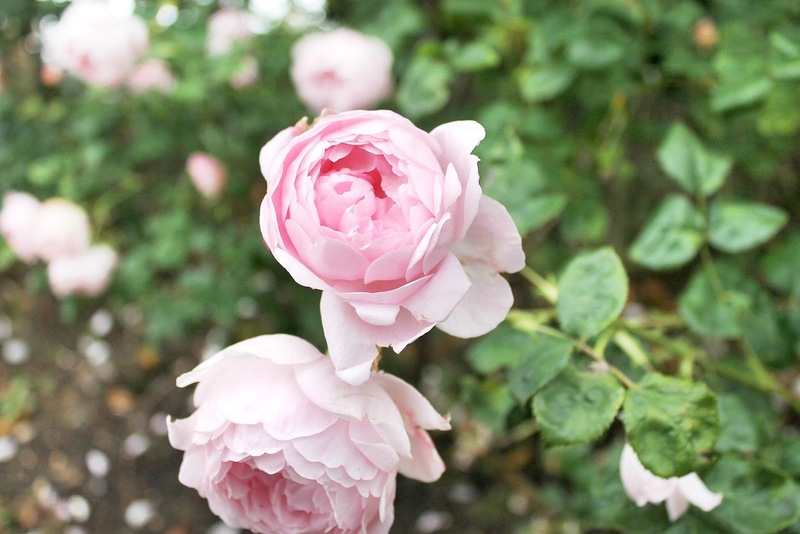 We spent a hour just photographing all of the flowers in the Queen Mary's rose garden. I've never experienced it in that way before, as we normally visit on my birthday in late August, when the rose season has just fallen away. 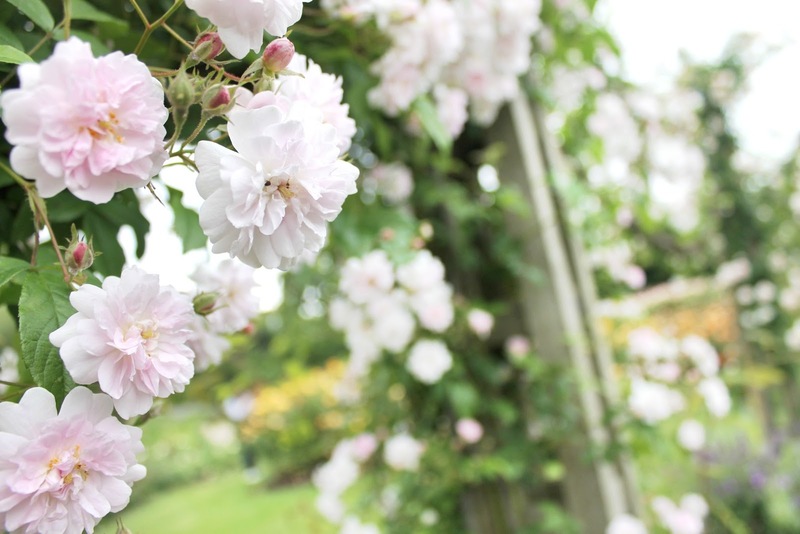 This time, the scent of turkish delight was heavy in the air, the bushes were thick and full with colour and the roses dipped, bobbed their heads for the many visitors stopping to admire them, every person holding out a camera or a phone. Every single rose was admired and smelt by everybody. I wish I could capture the scent of them to bring to you! A smell straight from farmed Turkish rose fields or the kitchens of Lush Oxford Street (a story for another time). Reading the names of the roses is my favourite pastime and at the foot of every bush is a little plaque detailing the name of each rose, some with very curious titles! "Deep Secret" "Lovely Lady" and very happily "Ice Cream" - a rose by any other name! The rose season is definitely one of my favourite times of year and something I anticipate for months a whole year in advance. I love swooning over the pretty shades, sitting beneath the untidy, sprawling boughs and canopies that overlook hanging benches, as well as admiring the neatly pruned bushes and shrubs. I really envy my sister to have a birthday in June, there must be nothing better than to go and see their roses at their prime on your birthday! Look at this little guy having a nibble at my bag! It amazes me how tame the squirrels are in the park, it's a foreign concept up north and they must get so spoilt with all the visitors and food! He bravely ventured right up and sat happily on my boot while I took my photos. I thought I would throw in a snap of this stunning lilac silver rose in the centre as it completely stole my heart: appropriately named 'Silver Shadow'. 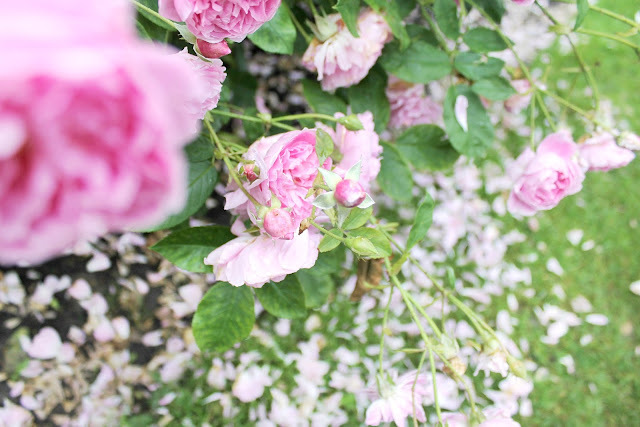 The pink roses are also my favourites, they are so swoon worthy in season and come in all romantic shades of fuscia, blush, barely there, dusky pinks, rouge, a carpet of petals collecting beneath them on the grass. Do check it out if you're ever in the area, it's such a beautiful place! It is said that the best times to visit are in the first few weeks of June, but there are always a few late blooms when I visit in August. 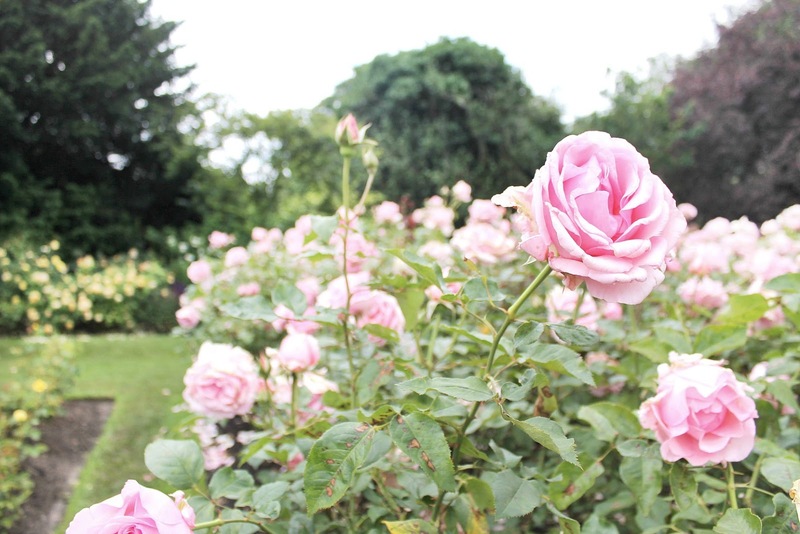 Roses are truly one of nature's wonders, a lazy day spent reading in a rose garden with croissants on hand would be my perfect summers day haha. I love rose season as well, it's just amazing to see all these beautiful flowers bloom. I've never been to Regent's Park around that time of year, but you've made me want to! I saw the cherry blossoms there though in April, there's a whole lot of them at one end of the park and it was beautiful, people were taking photos underneath them and it was all sooo pretty. 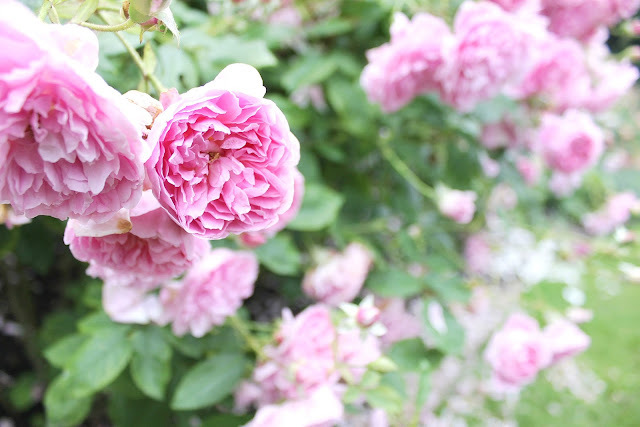 You can't go wrong with roses, and these photos are just so lovely! This must have been a dream to stroll through! Such beautiful photos, I do love roses! 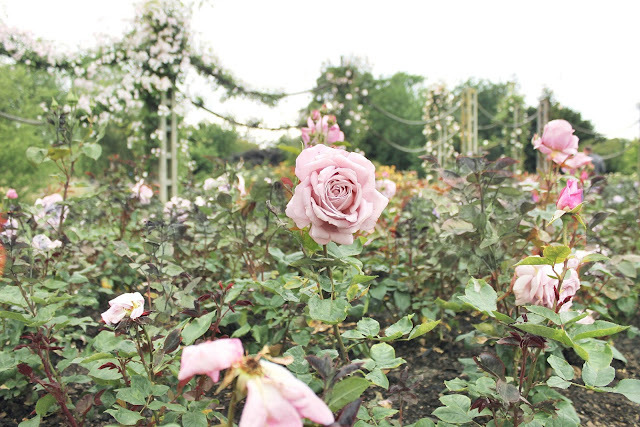 I've never been to Regents Park but it looks beautiful, especially with all the flowers in bloom! Oh I love roses. And these photos are sooo beautiful. Awesome post! 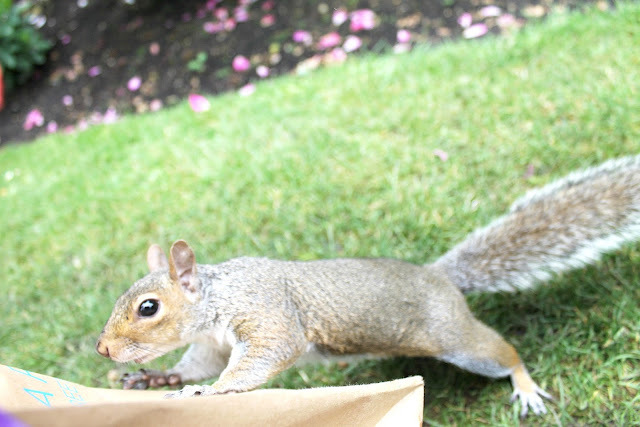 Your photography skills are amazing and the squirrel looks so cute! They're so pretty! Unfortunately for me, the nearest garden that offers beautiful blooming flowers would be in NYC which would take me half an hour to an hour to get into. I don't have any favorite flowers but I do admire one once I see them, and these ones right here are so gorgeous! This garden looks so beautiful, I loved your photos. I'm glad you had a lovely day for your sister's birthday. These pictures are BEAUTIFUL!!! Wish that they had rose gardens near where I lived. These photos are beautiful. Great post darling! Have a fabulous weekend! Ahh so lovely! 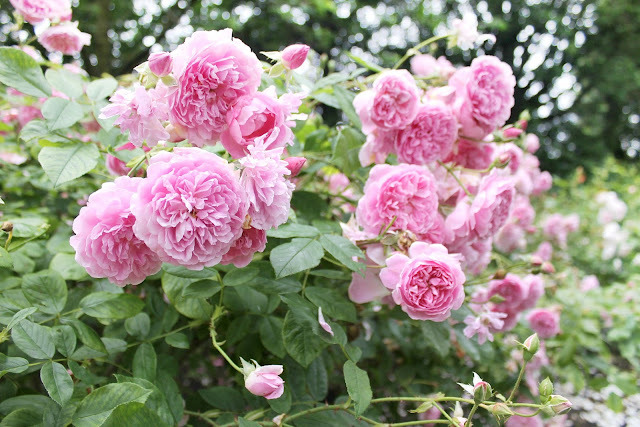 Roses are my favourite, especially pretty pink roses! Gorgeous post. What a beautiful garden! These photos are so lovely.